MNA – Iranian Leader’s Representative in Iraq and Syria, Ayatollah Hosseini, met and talked with Harakat Hezbollah al-Nujaba Leader Sheikh Akram al-Kaabi. At the joint meeting held at the headquarters of Nojaba Islamic Resistance (NRI) Party in Iraq, the two sides felicitated recent victories over ISIL terrorists by Resistance forces and appreciated their significant role in defending their homeland and holy beliefs. 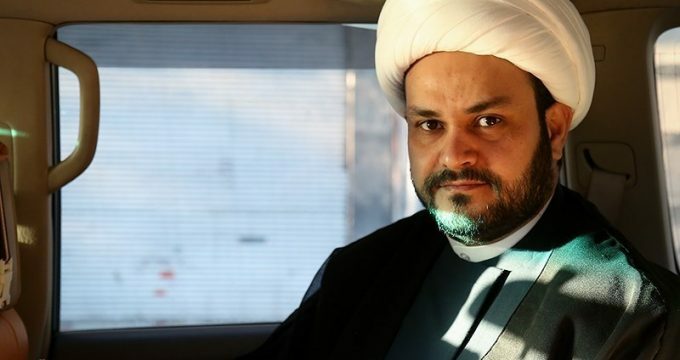 Harakat al-Nujaba Islamic Resistance Secretary-General Sheikh Akram al-Kaabi, for his part, welcomed Leader’s envoy to Iraq and voiced satisfaction over Seyed Mojtaba Hosseini presence. He later conveyed grateful appreciation of Iraqi nation and Resistance groups for support received from Iran’s Leader Ayatollah Khamenei as well as the Iranian government and nation. Iran’s Seyed Mojtaba Hosseini acknowledged bravery of Iraqi volunteers and popular mobilization groups in the battle against Takfiri terrorism and, in particular, praised the Najbah Islamic Resistance for its simultaneous presence in Iraq and Syria to defend the holy shrines.